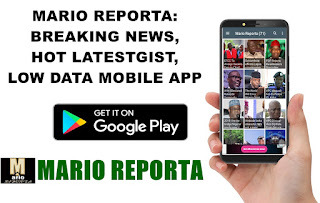 Mafa Town in Borno State on Saturday witnessed large turn out of voters in spite of an attempted attack by the Boko Haram insurgents on Friday night. The News Agency of Nigeria reports that troops of Operation Lafiya Dole successfully repelled the attack coordinated by Boko Haram insurgents in Mafa town, Mafa Local Government Area of Borno. Bulama Goni, a Civilian Joint Task Force operative, who witnessed the incident, said Boko Haram attacked the town at 6:15pm but were repelled by the high fire power of the military. Goni said scores of the insurgents were killed, while many escaped with injuries. Brigadier General Bulama Biu, the General Officer Commanding 7 Division and Commander Sector 1, Operation Lafiya Dole, confirmed the attack to NAN in an interview. Biu disclosed that the gallant troops repelled the attack when the insurgents attempted to in filtrate the community on Friday evening. A NAN reporter who was in Mafa Local Government Area to monitor the voting, reports that it was peaceful amidst tight security. Musa Amsha, INEC Head of Election in Mafa, who briefed the GOC, said voting began at 8am in all the polling centres of the LGA. Also speaking, ASP Jidda Lawal, the DPO in Mafa town, said: “By At 11:30am, most of the voters had voted. The All Progressives Congress governorship candidate, Babagana Zulum, who cast his vote in Mafa, also commended voters for coming out en mass to vote.